mini one 1.6 2003 37k miles. Mini one 3 door hatchback 1.6l 2003. M0T until sept 2019. Has previously had a new engine put in now reading 37k genuine miles with mot certs to prove. 17" alloys with run flat tyres. Tyres new at 32k miles. 1 year fresh MOT, No advisories. Hatchback 1.6 Manual Petrol Great Little car. Mini Cooper 2008. Well looked after This Stunning MINI. Age related scratches, no dents. 1 previous keeper only, Lady owner from the beginning. Only 39000miles with 1 year mot. 2008 mini cooper 1.6 petrol in black. car is a cat s after being hit in rear n/s but is all repaired now. alloy wheels etc etc. It has got a long MOT and the Car is in a Good condition for the age. Panoramic Sunroof. There's a small dent on the drivers side front wing which i've pictured. All Bridgestone tyres with good tread. Mini Cooper 1.6 Petrol 2009 year in White. Car is in very good condition very nice little driver. Previous cat.n. Perfect as a first car. 1499 CC MANUAL PETROL WITH 36119 MILES. 2014 MINI COOPER ORANGE. CAR RUN AND DRIVE. PRE- ACCIDENT VALUE IS 10460. 2008 MINI Convertible 1.6 One Sidewalk Edition. Convertible roof. Electric Mirrors. Heated windscreen. Auto dimming rear view mirror. Auto lights. 2010 Mini Cooper. The car is in condition as you would expect for a 20k mile car. 2015 “64” Damaged repairable Mini Cooper D 1.5 Turbo Diesel, 5 Door hatchback. Salvage car. Starts and drives for loading. NEW MOT UNTIL 19 FEBUARY 2020. 2005 MINI ONE CONVERTIBLE. ALL IN ALL A LOVELY CONVERTIBLE MINI. ONLY [[[[[[[[ 42,000 MILES ]]]]]]] WITH FULL SERVICE HISTORY. DRIVES VERY WELL INDEED. ]. 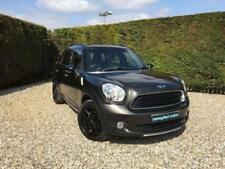 MINI PACEMAN COOPER 1.6 D manual. Paid out right zero finance on this car!! Radio Mini, AUX-In Connection at Front in MINI Centre Rail, USB. 3.5 mm Jack for Connecting External Audio Sources. 18" MINI UPGRADED ALLOYS, run flats. This Countryman is in excellent condition throughout, it has covered very low mileage backed up by a Mini service history. 40,000 miles - Cheap finance rates available. Is that the lady owner before had crushed reverse gear. RARE YELLOW MINI COOPER. Reconditioned gearbox fitted less than 250 miles ago reason for this. Very low mileage of only 42,000. a perfect first car. New listing2004 54 Mini 1.6 One Convertible, Only 43,000 Miles, "GET READY FOR THE SUMMER"
1.6 PETROL. 2013 MINI HATCH. NICE SMALL MINI IN A CREAM WHITE COLOUR. CHEAPEST ONE IN THE COUNTRY . READY TO GO. Mini Cooper S, the car is in fantastic condition inside and out. The car has recently been fitted with a reconditioned engine due to the old engine starting to develop a rattle. The new engine was sourced by them. Here we have for sale my Mini Hatch (FIRST). 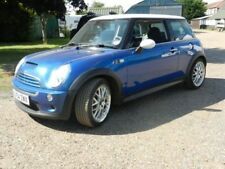 I am selling my cream Mini 2009 1.4 petrol, it has been a great car and I am only selling due to upgrading to a 4 door car. There has been 3 previous owners and I have had this car for the last 4 and a half years. All have been very careful lady drivers with low mileage of 40,800. The front brake pads and discs have recently been changed. MOT was done in March with no advisories. I also purchased a new spare wheel only 2 months ago which has never been used (my dad made me buy this just in case!) Lovely little car and I am sad to see it go. If you have any questions please feel free to send me a message. New tyres, Leather seats, Xenon lights and all the Extras.